Indeterminate. 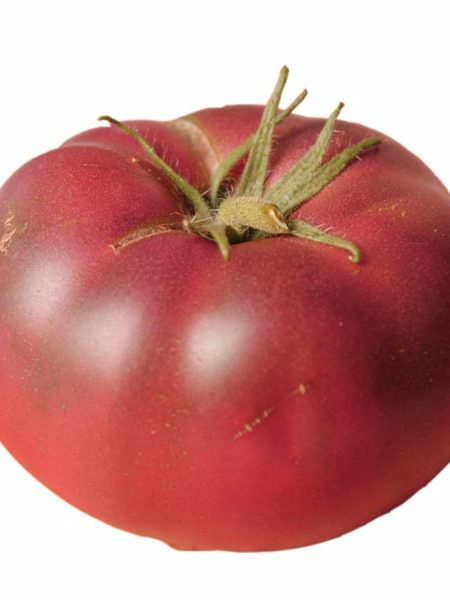 Hands down, the judges agreed this was the most appealing grape tomato they trialed. With an appetizing deep-red color, it has a very sweet (Brix of 7-9) taste and will hold longer on the vine without cracking or losing the excellent eating quality. Valentine F1 tomato is quite prolific and will mature earlier (55 days from transplant) than the comparisons used for this entry. Gardeners should plan on staking the indeterminate vines for best results. 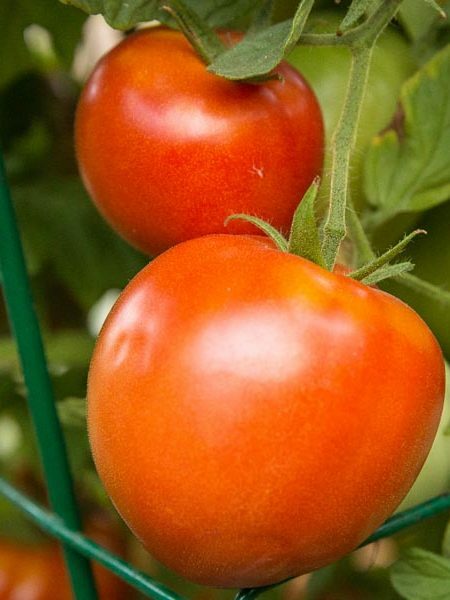 Tomato lovers will appreciate the sweet, firm flesh that is meaty enough to resemble a Roma tomato but in a smaller, grape-type fruit. 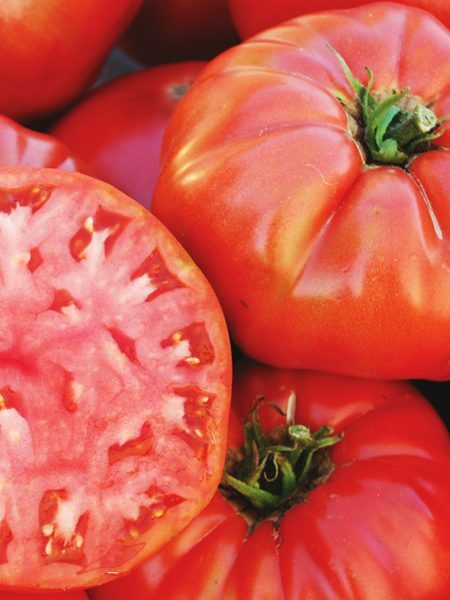 These easy-to-harvest tomatoes can take the summer heat and keep on producing! Photo and text courtesy of AAS. 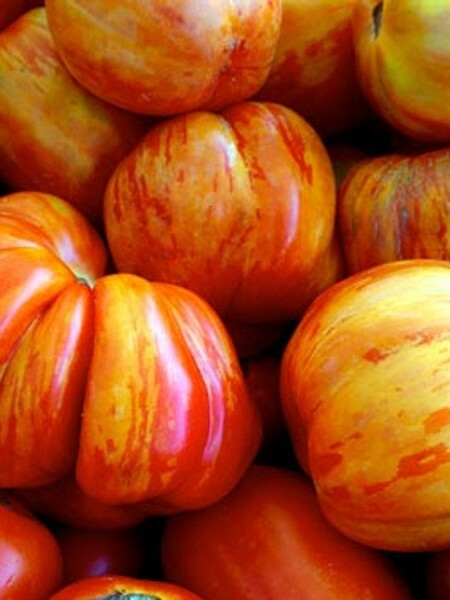 Be the first to review “Tomato ‘Valentine’ Grafted Mighty ’Mato” Click here to cancel reply.